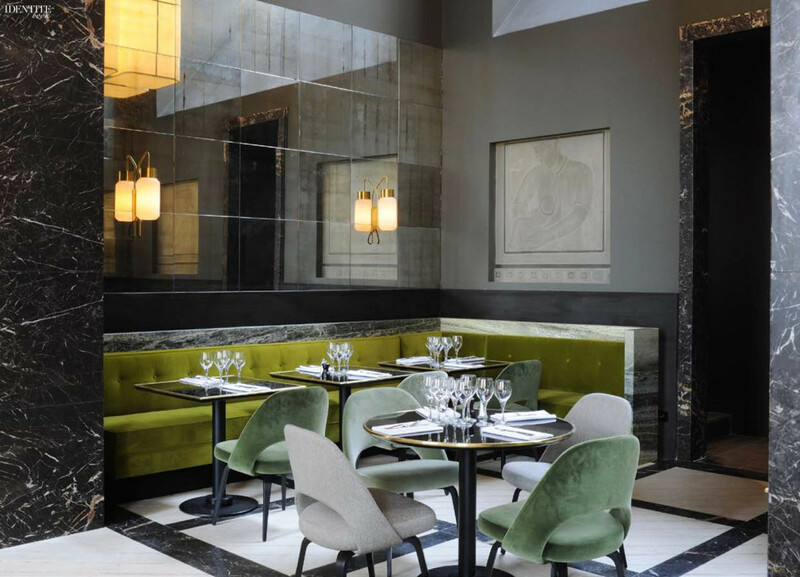 This private dining alcove at Monsieur Bleu restaurant at the Palais de Tokyo, Paris, is casual, luxurious and very modern. It doesn’t hurt that the space started with amazing bones and decoration: Lalique glass panels with black and white marble. The designer complimented this existing structure with a really sophisticated color palate and restrained use of materials: more green marble, black and grey green plaster walls, and upholstery in shades of green and grey. This is definitely on my list of things to do the next time I am in Paris. The palais du Tokyo regularly hosts exhibits by well known contemporary artists. I’ll have to try Monseiur Bleu when back in 2014.